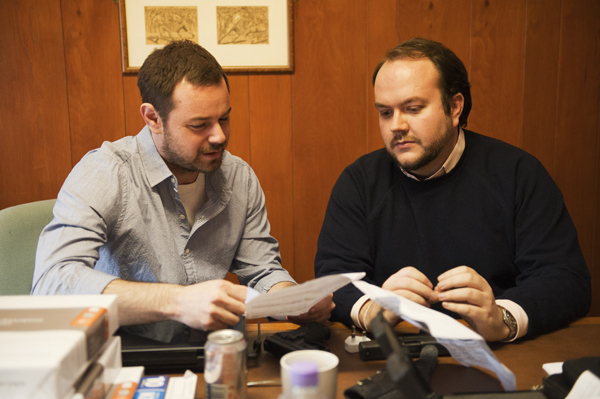 It’s not often in life I meet someone I would like to be, but Jonathan Sothcott is currently just that. He’s become my hero of late, so I was chuffed beyond chuffed to grab an interview with him. Film making is an old business, but that doesn’t mean you can’t teach an old dog new tricks. With his dedicated team, pack of actors and dynamic scripts Jonathan is steadfastly changing the goal posts. As a newbie film maker I was keen to hear his tips, and get inside his mind a little. So, here for your pleasure is the interview in full..
As a new film maker, my attention has been drawn to people equally ambitious, your cv is impressive, And there’s no denying you are doing things differently, What made you choose this way? I don’t know any other way. There are no ‘how to’ books for film producing, I think you can only really learn by doing. I have been in this game for 6 years now and it is really only in the last 12 months that I would say I have found my feet – I made a lot of different movies, horror, comedies etc before I found my niche making gangster and action films. There are plenty of people telling you what you can’t do and plenty of charlatans who look very busy on Facebook but actually don’t have a clue what they are doing. But you have to believe – really believe in yourself and your work and then you might just get somewhere. What is the best piece of advice/top tips you can give to aspiring film makers? Be realistic. Whether you’re an actor, writer or director – know your limitations. Your first film won’t have a $3 million budget. You are unlikely to change the world with a screenplay that people don’t like. A Facebook page doesn’t mean the film you want to make has a marketing campaign. Your mum isn’t a better judge of your acting ability than a casting director. When you come to terms with who you are and what you’re good at, apply yourself and work as hard as you possibly can. The best bit of advice I ever had was from Noel Edmonds – it wasn’t specific to film but it certainly applies. He told me ‘everything takes twice as long as you hope and costs twice as much as you think” and he was bloody right. In the film business you’re going to take a lot of knocks. Ignore that – keep you’re head down and get on with what you want to do. I think Stallone said it best in Rocky Balboa “it ain’t about how hard ya hit. It’s about how hard you can get it and keep moving forward.” Having said that, I am a great believer in giving yourself realistic goals – if nobody bites on something, offer them something else. A LOT of dead horses get flogged in the movie business. What are the things we should avoid? My pet hate at the minute is social networking – not just because there are some crazy people on it or because nerds grown a pair behind their keyboard and think it is ok to insult people they don’t know but because it can be hard for people to work out what is real and what isn’t. Whether that’s fake celebrity accounts or deluded idiots messaging all your followers saying their insane idea is a real film with a budget and a start date, it makes things all a bit murky. I don’t really use Facebook and when I do it is just for personal stuff, but Twitter is a whole new world – when it is good, it’s great (my friend Nick Nevern and I got #WhiteCollarHooligan trending and that undoubtedly helped it perform well on DVD) but the dark side of it is a bit scary. The other thing to avoid is overspending on production. It isn’t hard to see the mess the UK film industry is in at the minute – HMV in administration, Revolver in limbo etc – so now is the time to be screwing costs to the floor. These days a low budget is £100,0000 not £1 million – at least if you want to get your money back. Thankfully people seem to be increasingly understanding this and adapting in order to survive. You started late, do you think its ever too late for someone to go onto film making? I wouldn’t say standing around in a muddy field in Essex at 4am in December is the best first job for a pensioner but in principal no. Often it is better to have a bit of life experience first – I did a whole load of different things before I got anywhere near producing a film and I think it can be a definite advantage. A previous interview quotes you as saying jaws made you want to make movies, can you tell me about a film you haven’t made but that you’d have liked to? I’d love to make a James Bond film. I am not a fan of the way the series has gone at all – my Bond was Roger Moore and I’m all about the exotic spectacle and glib one liners. For me Bond is an adventure with colour and spectacle and beauty. There was a lot to like in Skyfall but it was so dark and depressing and that isn’t what I want to see from 007. I am no fool though and know there is absolutely no chance of ever getting anywhere near a Bond film. But I would definitely like to make a spy movie soon, something akin to The Ipcress File or The Fourth Protocol, I love all that cloak and dagger stuff – it is just a case of finding the right story that will sit well with modern audiences. What are your top 3 Films? The perfect movie – every single aspect of this picture is spot on – direction, photography, script, score, performances, production design – it is a joy to watch and rewatch and I am proud to know every line of dialogue off by heart! I think this is on my mind because of all the brilliant news about new Star Wars movies. I saw this when I was about 3 on Betamax and its impossible not to be carried away into that galaxy far far away. What makes this the best of the series for me (just nudging past Empire Strikes Back) is the gravity that Peter Cushing and Alex Guiness bring to their performances, which nicely balances all the youthful exuberance – and another breath-taking John Williams score. The most underrated of the Bond films is one of the greatest action films ever – Lazenby is perfect for this one film which has a different focus to what came before and after. I love the screenplay, the fights are really hard hitting, the locations are stunning and John Barry delivered his best score. It amazed me the other day that one of my pals had avoided seeing this because of its poor reputation. Don’t believe the haters, it is a classic. That was really hard so can I say that I also love The Long Good Friday, Witchfinder General, The Dark Knight Rises, The Wild Geese, the Rocky Series, Mona Lisa, The Ipcress File, Get Carter, Dracula (1958), The Lost Boys and many, many more! Knowing there are two movies about the Essex murders, what made you want to tell the story again? Mine was actually the FOURTH – Essex Boys, Footsoldier and Bonded by Blood all leading the way – the way I saw it was that Footsoldier is an iconic cult movie that is unlikely to ever be bettered. I always felt the original Essex Boys starring Sean Bean was a bit drab and feels like a TV movie. And Bonded was a cash in on Footsoldier – which to be fair is exactly what Fall of the Essex Boys was too. I never wanted to use the term Essex Boys in the title – that was a distributor request (they were probably right) – I wanted to call it Feral. I knew we had to have a key point of difference and worked hard with the screenwriter Stephen Reynolds to fashion a new take on familiar material. We decided to go down a completely fictional route and pitch supergrass Darren Niccols as an undercover cop. Its a twist people either love or hate but one that very few see coming! 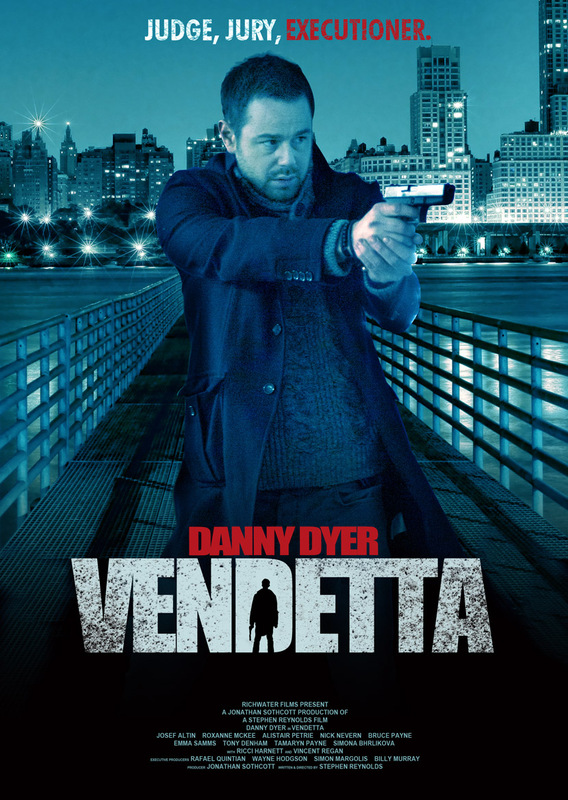 You’re right in the middle of producing your next movie, can you tell me a little bit about Vendetta? How’s it all looking?